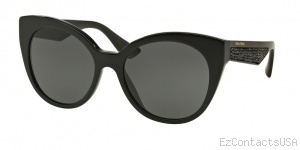 Reflect your great sense of style with a designer pair of Miu Miu 07RSA Sunglasses. A never ending trend that will make you feel great. All Miu Miu Sunglasses are guaranteed to be 100% authentic. "I am very pleased with my transaction. Not only did I receive a great deal on my glasses (about $100 cheaper than everywhere else with FREE shipping too), but shipping was super fast as well! 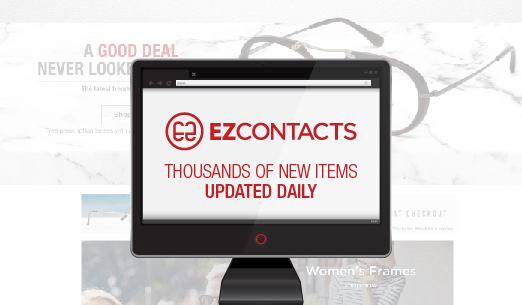 I was a little skeptical about ordering from this site, but I will definitely recommend EZ Contacts to everyone I know! " "The Ray-Ban RB3407 are trendy and classic at the same time. I love the change-up from the classic aviator which I also own. Good buy and better price! IT is my second purchase .and I'll be back "
"I received the eyeglasses about 2 weeks after I ordered them, which is pretty reasonable. I usually get them in the same amount of time from the eye Dr. 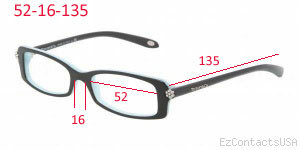 The frames look good and of course were a great price! They also came with quite a nice eyeglass box and certificate of authenticity. A+"